When hearing the phrase ‘pioneer woman’, the last thing that comes to mind is barber, but Christine Challenor has made a career from a once male-dominated industry starting in her mid teens. 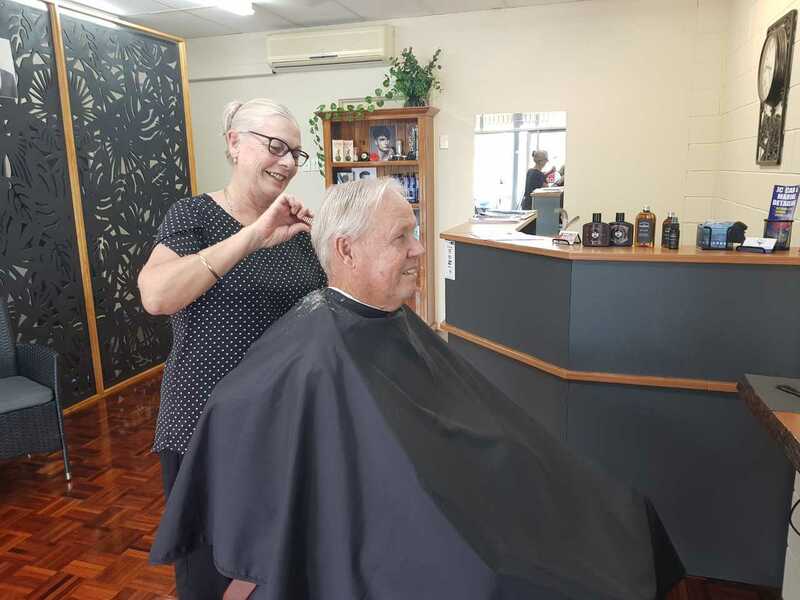 Moving away from ladies haircuts, Chris went to study under the President of Queensland Master Hairdressers for Men and quickly mastered the skill of short back and sides, including clippering without a gauge. Don’t despair, Bayside Barbers caters for all hair length and will even give the chin fluff a groom. Her walk-in-and-wait policy will allow you to enjoy the fabulous new fit-out of the shop, then in the chair quickly to lop the mop. Chris was originally from the Sunshine Coast but spent 16 years in Goondiwindi with family, working her own shop before a health scare sent her packing back to her coastal roots. Finding the traffic too busy down on the Sunny, she drove through Cooloola Cove by chance and bought there soon after. She’s keen to establish a native garden and sew up some new curtains for her almost completed home. If you are due for a man mane maintain, then pop down to the Dolphin Shopping Centre in Tin Can Bay. Look out for the red and white barber pole but don’t worry, even though Chris will whip the cutthroat razor around the ears and back of the neck, there’s no blood letting, just a soothing finish with a hot lemon face towel.